The Los Angeles Lakers retired both of Kobe Bryant’s jerseys on Monday night during halftime of the team’s game against the Warriors. 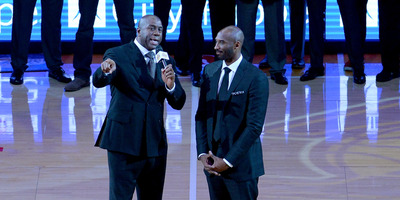 Bryant thanked his family and the fans, as well as all of the Laker legends that came before him. The Los Angeles Lakers honored Kobe Bryant during halftime of Monday night’s game against the Warriors, retiring both his no. 8 and no. 24 jerseys to the rafters of the Staples Center in an emotional ceremony. Lakers controlling owner and president Jeanie Buss then came out to thank Bryant, as chants of “KO-BE! KO-BE! KO-BE!” rang through the Staples Center. “We’re retiring both of your numbers, because if you separated each of these of the accomplishments under those numbers, each of those players would qualify for the Hall of Fame,” Buss said. 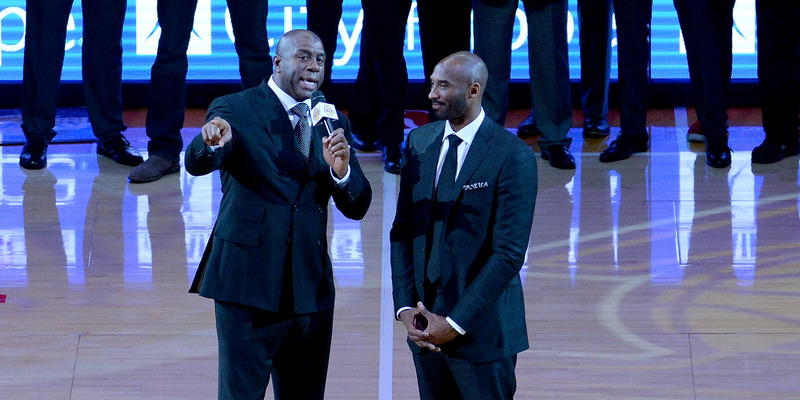 After the jerseys were raised to the rafters, Bryant finally stepped to the microphone, thanking the crowd, and praising both the past and future of the Lakers organisation, citing many of the all time Laker-greats that came before him as his inspiration. You can watch the whole ceremony below.